Andrea Filler prepares to field before a pitch. The senior shortstop is tied for the team lead with 14 home runs. It may have not been the team’s strongest performance, but Northwestern’s defense pulled through in Wisconsin. The Wildcats (22-24, 12-8 Big Ten) won twice in a three-game series against the Badgers (27-21-1, 10-9-1) to bring themselves within two games of the coveted .500 mark. NU has gone 12-4 over its last 16 games, with every game being just as important as the next for its postseason campaign. Letourneau, who pitched two complete games in the series, recorded a season-high 11 strikeouts in Friday’s contest, while also leading the team at the plate with three hits and an RBI. Friday’s game was indicative of what was to come throughout the weekend, as the Cats started strong, with freshman third baseman Morgan Nelson making the score 3-0 after a two-run single in the second. Sophomore second baseman Brooke Marquez brought the score to 5-0 in the bottom of the third with an RBI single. 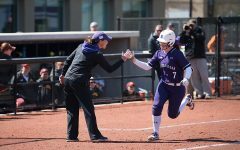 However, even with a fast start, the Cats had to hold off a Wisconsin rally in the sixth and seventh innings to bring in the 5-3 win. Freshman centerfielder Sabrina Rabin, who went 2-for-4 on Friday, said the team’s biggest improvement coming out of the series will need to be finishing off those late innings. Saturday’s game, suspended by weather, ended Sunday morning. 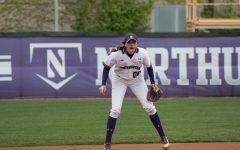 NU left the field Saturday facing a 2-0 deficit after two frames, and the Cats were unable to rally Sunday, losing the contest by a score of 4-1. Senior ace Kristen Wood took the mound in the restart, quickly retiring the bottom of the Badgers’ lineup with help from sophomore catcher Sammy Nettling. Even with the strong start from Wood, Wisconsin opened up the third inning with a solo homer to bring the score to 3-0. The Cats would eventually push across a run from a Nelson double to centerfield but would not score again. 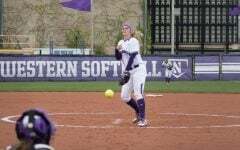 Coach Kate Drohan said although the score remained close through all three contests, NU’s offense will need to step up as the season winds down. 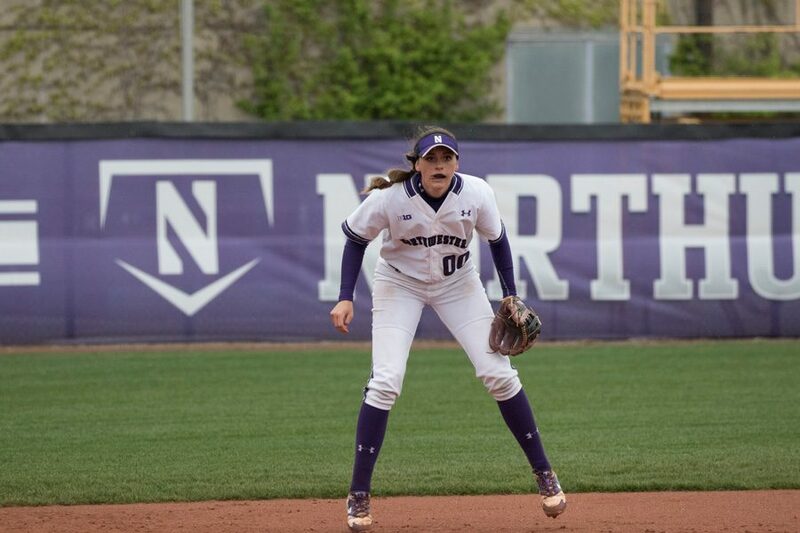 Even with the tough loss, the next game started out strong for NU, as Nelson continued her hot streak at the plate, singling to left and stealing second base. Senior shortstop Andrea Filler sent Nelson home on a single, and a Nettling RBI brought Filler home to bring the score to 2-0 in the first. Although Wisconsin would go on to score three runs in the second frame, NU’s defense was ready. In the top of the fourth, Letourneau smashed her 14th home run of the season to make the score even, 3-3. Yet another Nelson single into right center brought the score to 4-3, and the Cats held off a Wisconsin rally in the bottom of the seventh to bring home the win. Two wins against a conference rival bring the Cats — who currently sit at fifth place in the Big Ten — that much closer to a postseason berth. Still, Drohan said she remains confident in the team’s “one game, one inning, one pitch” mentality.